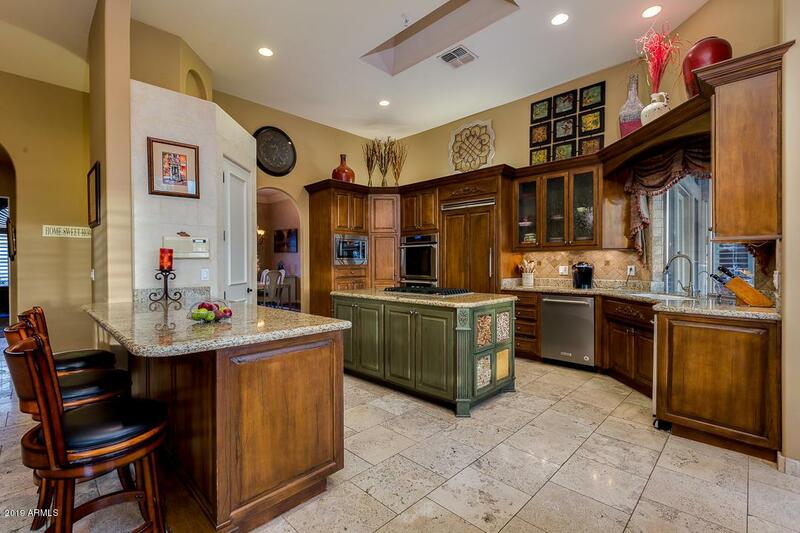 Beautifully crafted custom in gated community on premium view lot! 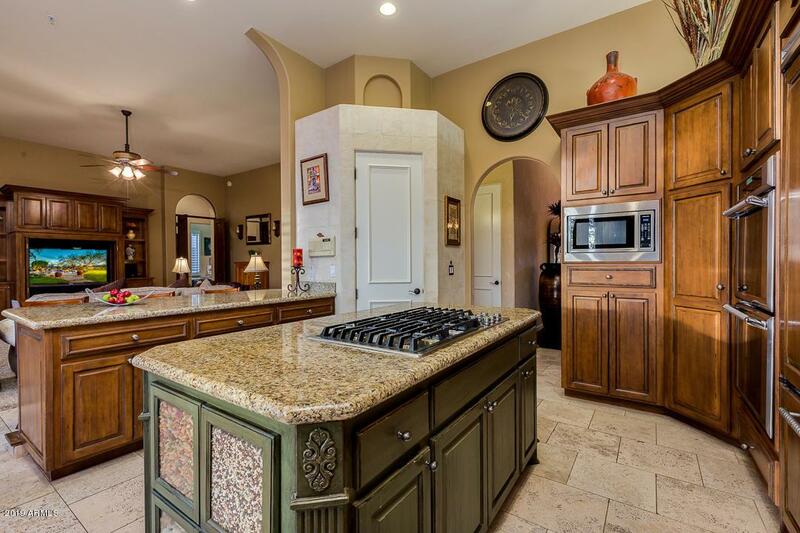 Awesome features including stone flooring, granite, upgraded walnut cabinets, stainless steel appliances including double ovens, 5-burner gas cooktop and B-I refrigerator. Terrific floor plan with island kitchen overlooking spacious family room with fireplace, separate wing of bedrooms plus separate guest room and split master. Other features include solid wood doors, wired for sound, custom lighting, skylights and wet bar with refrigerator. 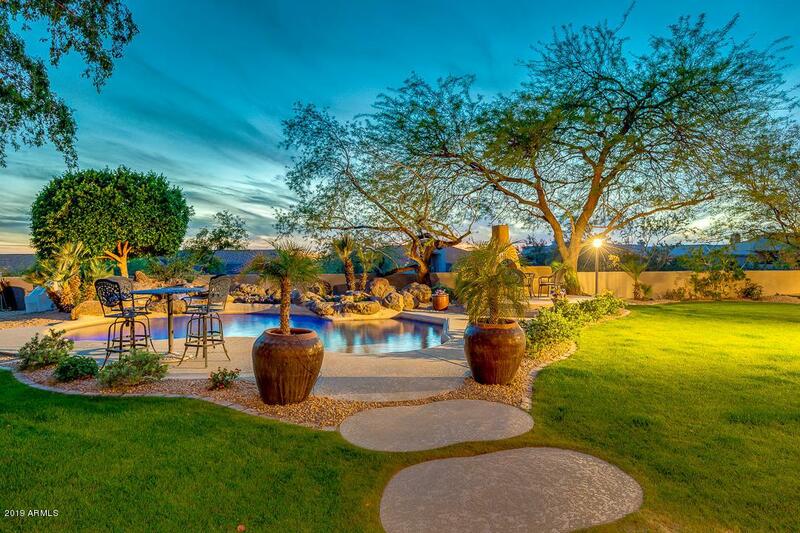 Gorgeous back yard with private pool and waterfall, grassy area, mature landscaping, B-I BBQ grill and outdoor shower. 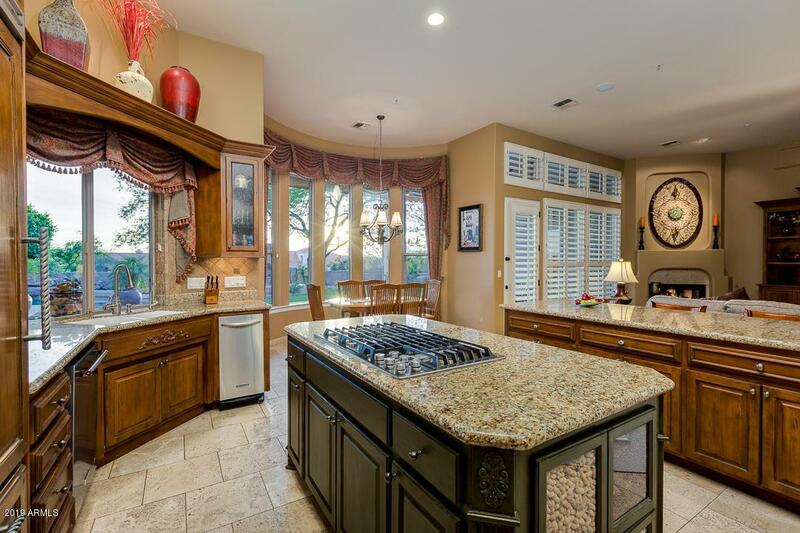 All of this, located close to top-rated schools, Mayo clinic, shopping and restaurants! Welcome home!